Having given thirty years of academic service to the Indiana State Teachers College, Professor Fred E. Brengle set a prime example for others of his generation interested in the lifelong pursuit of education. The high standard he set through his years of service to the field of social studies education in the state of Indiana is certainly worthy of review, and continues to remind today’s students of just what it means to be a lifetime learner and a professional educator devoted to the field of history. Fred Brengle is said to have had a reserved demeanor, attributable to his humble Hoosier roots. Born on May 3, 1889 in Livonia, Indiana to Jacob G. and Susan W. (Duncan) Brengle, Fred was raised in a preacher’s household in a small Indiana farming town. There he developed his strong work ethic and austere personality while working on various farms and at odd jobs around Livonia after the harvests. It was also during these times that Fred is said to have developed a dignified character and a sense of noble maturity. He received his basic education at elementary schools in Orleans, Heltonville, and Westport, all in Indiana, later pursuing college preparatory work at Central Normal in Danville, Indiana in 1914. He went on to attend several colleges and universities, including Indiana University, the University of Chicago, and Harvard University. Brengle’s first major educational achievement was an A.B. degree from Indiana University in 1916, majoring in the field of History. In 1922 he completed his Master’s requirements at Chicago, and subsequently attended Harvard University for one year of doctoral study. He later finished his Ph.D. at Indiana University in 1929, focusing his research on the history of the Progressive Party and its relationships to Theodore Roosevelt and Woodrow Wilson. While at these various institutions, Brengle greatly enjoyed working with campus newspapers, even serving as head editor at the University of Chicago and at IU. He was also a debater, a member of the band, and president of the senior class at IU, a distinction that earned him multiple scholarship nominations. The lessons learned while growing up in a small Hoosier farming town clearly paid substantial dividends as he commenced his career in higher education. Brengle held a variety of teaching posts throughout his career, dating back to 1908 when he was a grade school teacher at Deer Creek. It was during this time that he met his future wife, Elsie Marie Leak; the couple was married in 1916 in Lizton, Indiana, shortly after he had finished his Bachelor’s degree. A year later he became the principal at Deer Creek High School, but accepted a transfer back to the classroom at Elwood High School in 1918. There he would broaden his professional development for a few years by writing for the local newspaper. After completing his Master’s degree in Chicago in 1922, he decided to teach at Central Normal College in Danville, Illinois. During several of these summers he worked with Eli Lilly in the chemical department and Hunter Furniture Factory in the veneering department. In 1927 he hired on at Indiana State Teachers College as a professor of History, eventually becoming the department Head in 1932. In 1952 he became Chairman of the Department of Social Studies, a post which he would retain until his retirement in 1957. In addition to his educational accomplishments, Brengle also held memberships in various community, honorary, and social organizations. 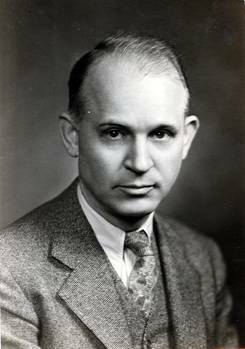 These included the Pi Gamma Mu and Kappa Delta Pi honor societies, the Mississippi Valley Historical Society, the Terre Haute Literary Club, and the Terre Haute Library Club, of which he was secretary (1946), vice-president (1947), and president (1948). He was also a member of the Army National Guard Band based in Fort Harrison and Valparaiso. University Archives, Indiana State University. An Introduction of Dr. F.E. Brengle (June 29, 1949). Indiana State Teachers College. Faculty Records Division. University Archives. Indiana State University, Terre Haute, Indiana. Office of Information Services, Indiana State University (1966). Photograph from University Archives, Indiana State University, Terre Haute, Indiana. Vigo County Public Library Community Archives, Terre Haute, Indiana. www.epodunk.com, with particular regard to earlier childhood information.